A nice leisurely stroll through Dunfermline followed by a traditional Fish and Chip Tea! We offer an afternoon stroll around the streets of Dunfermline’s city centre looking at the historic buildings, shops and ‘hidden’ detail on some buildings. The tour will end at Alari’s Fish Restaurant in Chalmers Street for an optional* ‘ Fish and Chip Tea ‘, all served with bread, butter and a pot of Tea. 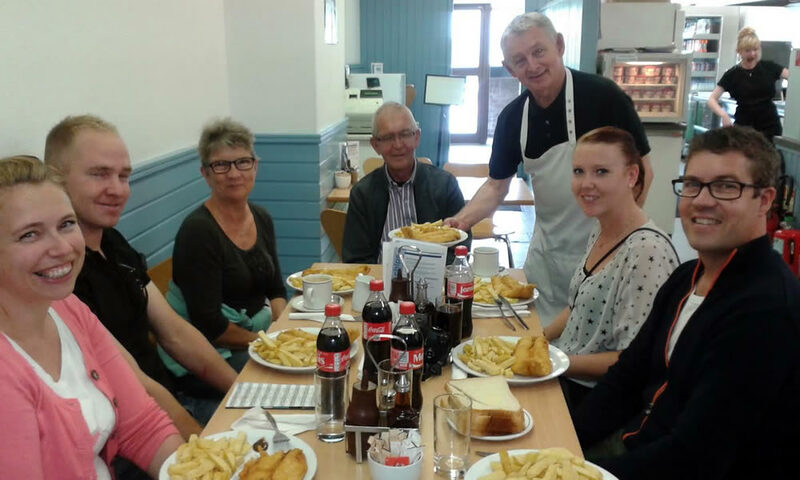 Alari’s is the oldest Fish and Chip Shop in Dunfermline, being run today by the 3rd generation of the Alari family. Followed by an Optional Fish and Chip Tea! * Please note that the price of the Fish and Chip Tea is not included in the shown price and is optional.